VB16 is the first generation of folded VR glasses from TopYing. It is not only lightweight, but also ergonomic. 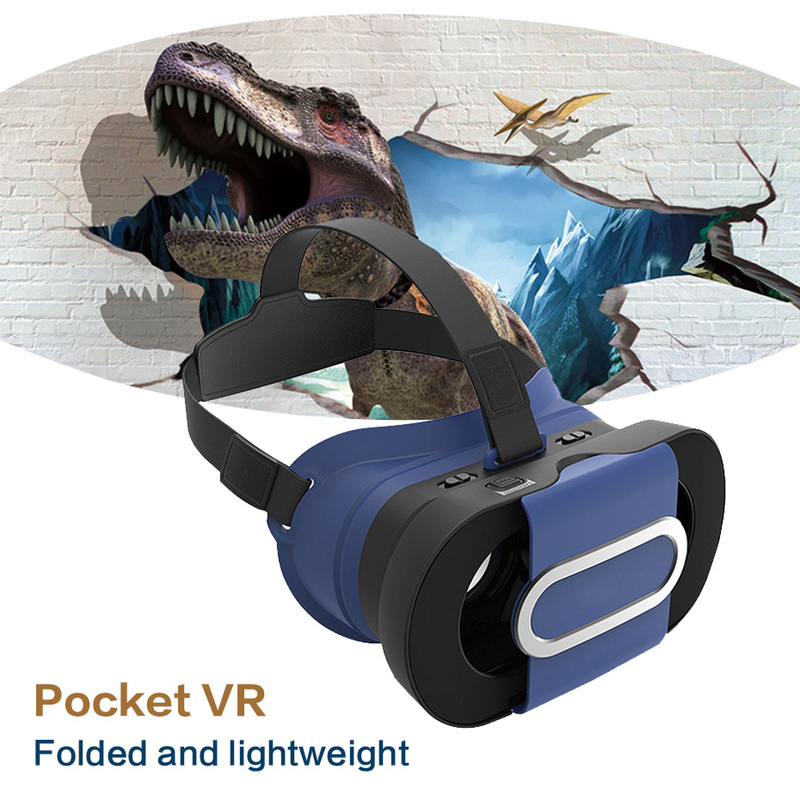 Playing VR games and watching 3D movies and pictures anywhere could happen easily. vFolded and lightweight, it could be carried conveniently anywhere and anyplace. vUnique appearance design and professional structure design with patent. vFOV is up to 96 degree, with totally immersive virtual experience. vSpecial optical system design, with clear image and without any dizziness after long-time use. vOnly weight 200G (excluding mobile phones), the optimized structure with much better comfort. vUnique capacitive touch button, which is compatible with IOS and Android systems, such as all games on Google Cardboard II, facilitating more games or APP control. vConvenient AR window function. vAvailable for smartphones with IOS and Android system and size from 4.7″ to 6″. Model: VR BOX New version	VR Glasses Type: VR Glasses	Compatible with: Smartphones	Material: ABS, PC	Color: White	Net Weight: 220g	Size: 178 * 98 * 50mm	Smartphone Compatibility: 3.5 – 6.0 inch	Package List ：	1xVirtual Reality Glasses	1xUser Manual 1xCleaning Cloth	 Remind: In order to give you 100% protection of your purchasing glasses ,we will update the shipping into air filled column bag pack like the photo. IF you need VR BOX with Retail Box. Please Contact us	 1.Put your smartphone in. 2.Then open the 3D apps/games/movies. 4.Put the 3D glasses on your head. 5.Adjust the lenses to suit your pupils,make sure the screen is clear and you feel comfortable. 6.Then enjoy it by yourself. (1) Import duties, taxes and charges are not included in the item price or shipping charges. These charges are the buyer’s responsibility. (2) Please check with your country customs office to determine what these additional costs will be prior to bidding/buying.If your country is not in free shipping list, please kindly contact us before you place an order. 1. All the products have been tested by our Special Quality Checking Team and packed in good condition before shipping.Even so, there still may be some unpredictable problems when you received it.so contact us freely if you have any issue	2.All the products have 1 year warranty. Please contact us within 3 days after delivery if you got wrong or defective items. We will offer refund or replacement after we confirmed problems.